When Congress created the original Medicare program in 1965, physicians had a limited arsenal of medicines available to treat chronic and acute maladies. Like most health insurers at the time, Medicare did not include coverage for prescription drugs. But an explosion of pharmaceutical research and innovation over the next several decades led virtually all private health insurers to add the coverage to their plans. They saw the evidence: If people took their medicines, they stayed healthier longer, they could avoid more invasive treatments including surgeries and hospitalizations, and overall health care spending often could be reduced. But it took 38 years for Medicare to catch up. In 2003, Congress passed and President George W. Bush signed the Medicare Modernization Act (MMA) which created the Medicare Part D Prescription Drug Benefit. It started operating in 2006. Today, about 38 million seniors and disabled Americans on Medicare are enrolled in Part D plans, including employer-only group plans. More than 60 percent of them are enrolled in private prescription drug plans and the rest receive drug coverage through Medicare Advantage plans. During debate over passage of the law, Medicare Part D was opposed by many for its $400 billion 10-year price tag. But Congress was going to pass a drug benefit. It was only a matter of how it was structured. Would it be another government-run benefit program, laden with micromanagement and price controls? Or could we try something new to engage consumer choice and competition in delivering the benefit? The Republican Congress opted for the latter. The design of Medicare Part D was unique in government programs, calling on private plans to compete for customers based upon flexible benefit designs and prices. In addition, the MMA allowed creation of tax-preferred Health Savings Accounts, and it rescued the then-flailing program, now called Medicare Advantage, which allows seniors to choose to receive comprehensive medical services through competing private plans. 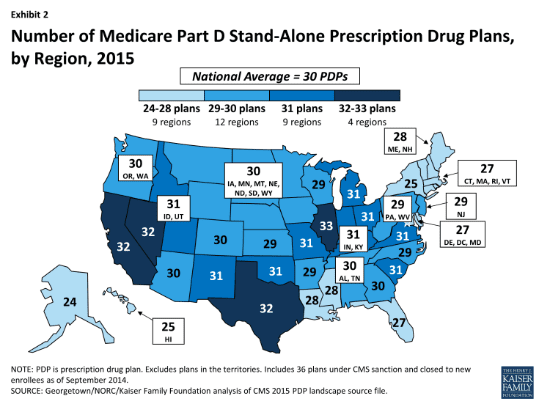 Today, more than 1,001 stand-alone Part D plans are offered across the country, and beneficiaries in each region have a choice of an average of 30 stand-alone drug plans. Seniors can select the plans that provide the medicines they need at the best value – transparency that seniors value. The Part D portal allows them to see the specific drugs each plan offers and to select the plan that covers their drugs and offers the best price. Because seniors have choices, private Part D plans have strong incentives to offer the lowest costs and best benefit structures to attract the largest number of enrollees. The structure is designed to minimize government micro-management, with the Centers for Medicare and Medicaid Services setting the basic parameters and providing seniors with information and premium subsidies. It is precisely this hands-off, non-interference approach that is the foundation of Part D’s success. Competition is critical to Part D’s success. Drug plans negotiate discounts directly with drug companies and have incentives to pass those savings along to consumers, pricing their premiums attractively to gain larger enrollment. Plans can then offer greater volume to drug companies in exchange for the more deeply-discounted prices. This competitive cycle has been able to keep premiums low while giving seniors access to a wide variety of medicines. In 2004, the Medicare Trustees had estimated that Medicare beneficiaries would pay an average of $61 a month for their Part D benefit by 2013. Instead, the average premium has remained steady at about $30 a month for the last several years. In regions where there are more drug plans, competition is more intense and prices are lower. According to a recent report from the Congressional Budget Office, plans submitted lower bids in areas with more plans and therefore more competition. And the Part D program has saved taxpayers money as well. In 2003, the CBO projected that net federal spending for the Medicare Part D prescription drug program would be $99 billion in fiscal year 2013; actual spending was $50 billion, or nearly 50 percent less than anticipated. A study published in the Journal of the American Medical Association in 2011 found that, for those with limited prior drug coverage who subsequently enrolled in Medicare Part D, there was an average savings of $1,200 per beneficiary in total non-drug medical costs in both 2006 and 2007. These offsetting savings coupled with the fact that 11 million seniors gained comprehensive prescription drug coverage when Part D was implemented implies an overall savings of $13.4 billion on other Medicare services in 2007, the first full year of the program. By providing better coverage to prescription drugs, Part D improves the health of patients and helps keep seniors out of the hospital while reducing spending for other healthcare services covered by Medicare. CBO uses these Part D savings when it calculates overall Medicare savings and projects future costs. In a rare move, the non-partisan Congressional Budget Office changed its methodology to take into account the effect that prescription medicines can have on spending in Medicare. For every one percent increase in the number of prescriptions filled by Medicare recipients, spending on Medicare and other federal programs that include drug utilization is anticipated to decrease by roughly .2 percent. The basic design of the original Medicare Part D program contained comprehensive drug coverage for routine and major drug costs, but there was a sizeable “donut hole” in the middle – a gap in coverage between about $2,500 and $5,500 a year in drug spending in 2007. Few seniors hit the donut hole, but after they made it through, they paid only about 5% of their drug costs. But few seniors are in traditional plans because the law gives companies significant flexibility in how they design their drug plans as long as they meet the same actuarial tests as the basic plan. Some offer lower deductibles but more generics and fewer brand name drugs. Seniors can select plans that may have lower costs than the average to reduce their premium. Other plans offer a greater choice of brand name drugs so other seniors may choose to pay more and receive a richer benefit. In 2015, for the first time since the program started in 2006, all Part D PDPs will offer an alternative design to the defined standard benefit, which has a $320 deductible in 2015 and 25 percent coinsurance for all covered drugs. Some plans modify or eliminate the deductible, and all PDPs use some type of varying cost-sharing tiers for covered generic and brand-name drugs. Financing for Part D comes from general revenues (73%), beneficiary premiums (14%), and state contributions (13%) for those beneficiaries who are dually-eligible for Medicare and Medicaid. The monthly premium paid by enrollees is set to cover 25.5% of the cost of standard drug coverage. Medicare subsidizes the remaining 74.5%, based on bids submitted by plans for their expected benefit payments. Low-income beneficiaries receive assistance to cover premiums and deductibles and reduced cost-sharing. Part D enrollees with higher incomes ($85,000/individual; $170,000/couple) pay a greater share of standard Part D costs, ranging from 35% to 80%, depending on income. The Part D program is unique in that private plans submit competitive bids each year to determine the cost of the benefit. This is the novel structure that sets it apart from the traditional Medicare fee-for-service model in which the government sets individual prices. Seniors have shown they are smart shoppers, and they are the ones that have driven down the cost of the program. Evidence shows that beneficiaries are successfully selecting plans that minimize their out-of-pocket premium and drug costs. A recent study found that beneficiaries reduced their average annual out-of-pocket costs by almost $300 from 2006 to 2007 by switching to a new plan. And better access to the right medicines can help reduce the cost of health care. From 1987 to 2006, 10 chronic diseases – including hypertension, diabetes, and arthritis – accounted for about half the growth in Medicare spending. According to the Centers for Disease Control and Prevention, chronic disease accounts for nearly 75% of overall health spending in the United States. But the real cost is even higher since the CDC doesn’t take into account secondary factors such as lost productivity and impact on families. Chronic diseases are less deadly when patients stick to their regular treatment program. If people take their medicines, they can control their diseases and avoid expensive hospital stays. What is next for Part D? Opinion polls consistently show high beneficiary satisfaction with Part D, with nearly 90% saying they are satisfied with the program. For reasons that defy the facts, spending on pharmaceuticals is seen as the primary driver of the rise in health care spending. But drug spending makes up only 9% of overall health spending in the United States. Nonetheless, the pharmaceutical industry frequently is targeted in political and budget battles. In particular, many legislators and administration officials continue to call for the federal government to intervene in private contract negotiations. The provision in the MMA that they want to change is the “non-interference” clause. This part of the law prevents the government from intruding on private price negotiations between pharmaceutical companies, Part D insurers, and pharmacies. These negotiations frequently result in rebates of as much as 20 to 30% for brand-name medicines, savings which are passed on to beneficiaries and taxpayers. Those who advocate giving government a role in negotiating prices offer a false promise. Government does negotiate: it sets prices. And because it is such a big purchaser, government interference quickly leads to price controls with all of their damaging consequences of market distortions, shortages, and reduced investment in research for new treatments. A new threat is emerging that would erode access to certain medicines for Medicare Part D beneficiaries who receive Low Income Subsidies (LIS). Individuals with incomes up to 150% of the federal poverty level and with limited assets are eligible for this low-income subsidy. It reduces their out-of-pocket spending by paying some or all of the Part D monthly premium and annual deductibles and limiting their co-insurance or copayments. The Obama administration has called for lower copayments for the generic drugs that LIS beneficiaries receive and wants to double their copayments for brand name drugs. This policy will be harmful. Drug plans already have checks and balances in place to push seniors toward using more generic drugs. Most employ step therapy that requires patients to use generic drugs first, then if they don’t work, their physician must apply for prior authorization so they can receive branded medicines. By the time the branded drug is approved, it’s clear that is the one the patient needs. The proposed co-payment change interferes with medical decisions by increasing the costs of the drugs that may be the only ones that work for particular patients. A generic may cost a beneficiary only 90 cents but a brand name drug could cost them as much as $12 in copayments. For beneficiaries on multiple prescriptions, this cost differential could be significant. 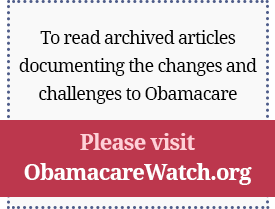 Nearly 60 patient groups wrote to Congress to oppose the proposal. This is a policy solution in search of a problem: In 2012, LIS beneficiaries filled 78% of their prescriptions with generics, versus 83% for the rest of the Part D population. That, despite the fact that LIS beneficiaries often have multiple chronic conditions, higher rates of diabetes, and more impairments than other beneficiaries, for whom this proposed change would be particularly problematic. There are many generics available, but only brand name drugs may work for an individual patient. Increasing copayments for brand medicines for this population could compromise access to care, reduce adherence, and increase overall Medicare costs. When addressing entitlement reform, it is impossible to ignore Medicare, a program that covers nearly 54 million Americans and which is projected to spend $626 billion in 2015. House Ways and Means Chairman Paul Ryan (R-Wis.) and many others have proposed plans to modernize Medicare following the Part D model to put it on a path to long-term sustainability. If Medicare is going to be preserved for future generations – and even for current retirees – spending must be controlled and red tape untangled. Policymakers can be guided by data and experience in making the next generation of policy decisions about Medicare. Part D is working and has a successful track record. It can be a model for future Medicare reform, engaging an army of seniors in getting better value for their health care dollars –as they have proven they can do with the prescription drug benefit. Medicare can be preserved, taxpayers can be protected, and seniors can continue to have access to the treatments and medicines they need, with lower costs driven not by government price controls and micromanagement but by competition, consumer choice, and innovation. Grace-Marie Turner is president of the Galen Institute. She can be reached atgracemarie@galen.org or (703) 299-8900. Policy analyst Kirby Greissing assisted in the preparation of this paper. Congressional Budget Office. “Offsetting Effects of Prescription Drug Use on Medicare’s Spending for Medical Services,” November 2012. Medicare Payment Advisory Commission, “Report to Congress: Medicare Payment Policy,” March 2015. P. 374. Previous Article: Who Invented Health Savings Accounts?